Footy Foods - Football training for children, football coaching for kids, kids football skills. Soccer Star Coaching.Football training for children, football coaching for kids, kids football skills. Soccer Star Coaching. 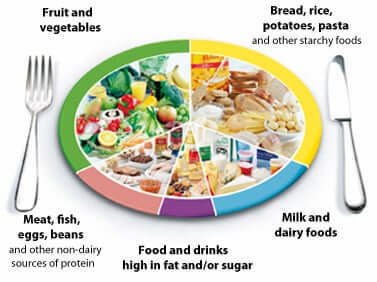 By following the simple guidance provided by the Eat Well Plate, everyone can enjoy a variety of food and be sure that they are having foods from the 5 food groups in the correct proportions. It’s a good idea to try to get this balance right every day, but you don’t need to do it at every meal. And you might find it easier to get the balance right over a longer period, say a week. This is the smallest section of the plate. Foods in this section are high in calories and contain little of other nutrients. They should therefore be consumed occasionally and in small amounts.